I tried to get some Benoit Serres Liqueur de Violette while we were in France but unfortunately I did not find any of the dark purple liqueur. I did not want to go down to Toulouse to secure a bottle of Violette liqueur. 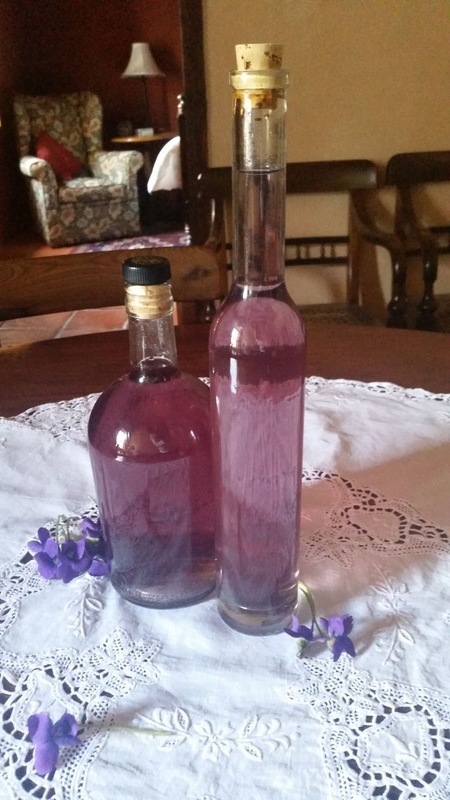 When I came home I decided to make some Violette liqueur from the violets in the Towerwater garden. The floral liqueur has the most beautiful colour and flavour. My search for violet liqueur started after I came across the Aviation cocktail and liked the shocking blue of the drink. 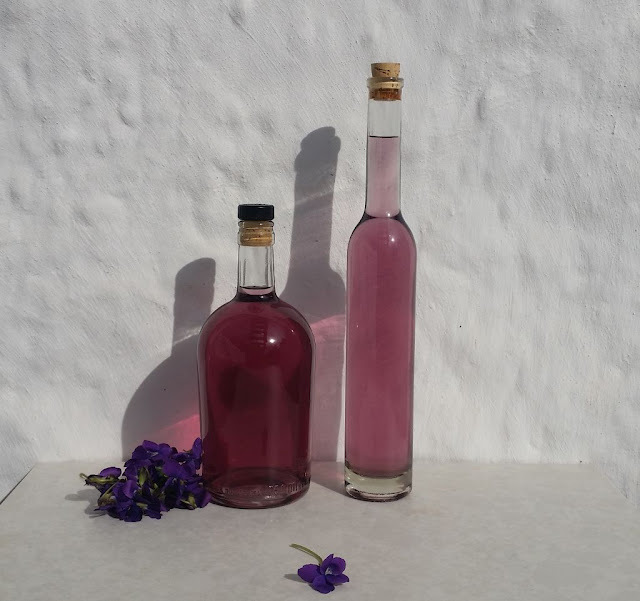 The recipe includes Crème de Violette which gives the drink its blue colour. And so my search for violet liqueur started. My philosophy in life is if you cannot find an ingredient, make it yourself. 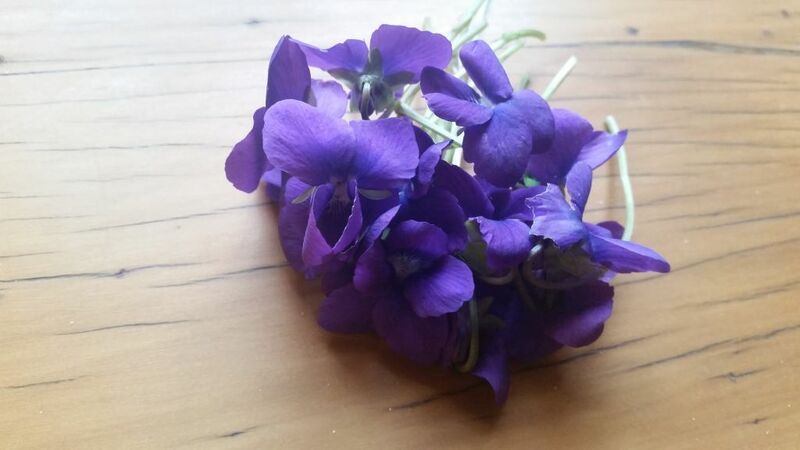 I think I needed more violets to get a deeper purple/blue liqueur that will give the Aviation cocktail its blue hue. 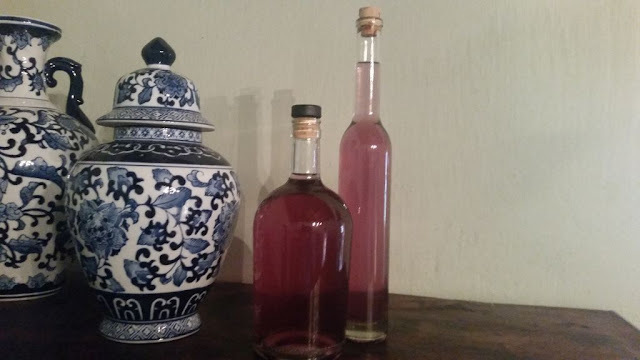 It was my first attempt to make liqueur from violets and I am determined to make it again and hopefully get the colour intensity that will give me the right hue of blue in my Aviation cocktail. Well done. Good luck with your quest to improve the colour intensity.